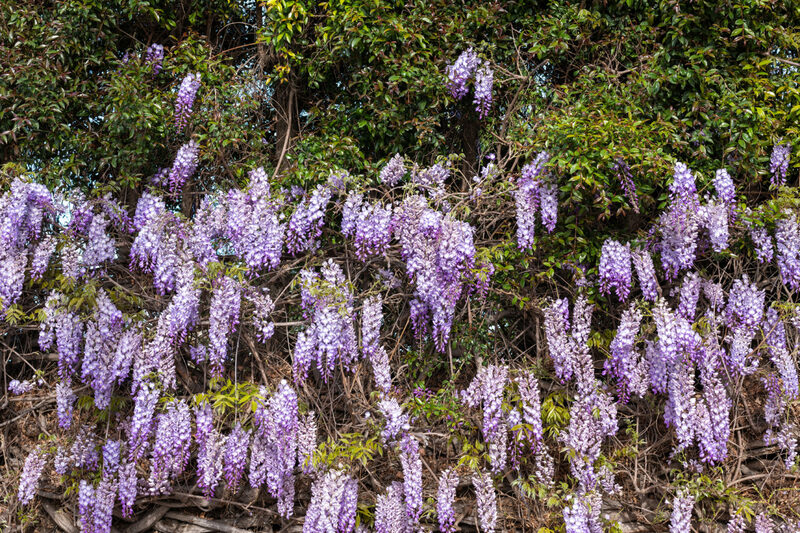 While Annie and I had seen occasional lilac flourishes, we were surprised to find a wall of the purplish flowers—along Mission, going East from Park Blvd.—on April Fools Day 2019. 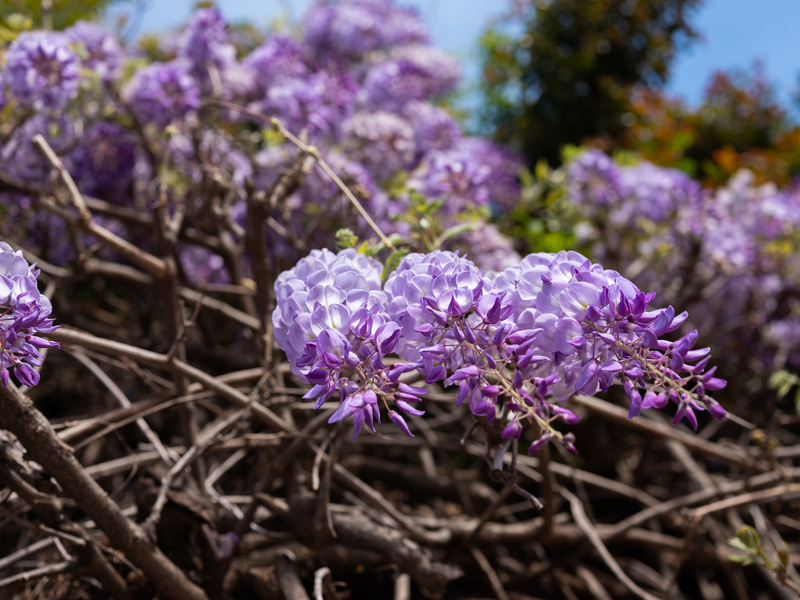 The Featured Image (warning: 21MB file) is the view from below, looking up at the lilacs. Vitals, aperture manually set: f/5.6, ISO 100, 1/100 sec, 63mm; 5:15 p.m. PDT. The companion gives glimpse of the wall—and to truly appreciate the amazing detail captured by the Fujifilm GFX 50R and Fujinon GF63mmF2.8 R WR lens, you must click through and see the photo full size (warning 35MB file). Vitals are same as the other, but 1/105 sec and one minute earlier. You can see the lilacs in University Heights.